Porter Wright recently announced that partner Robert (Bob) McAdams will co-chair the firm's Health Care Practice Group. McAdams, who joined the firm in 2009 with more than 20 years experience as a dedicated health care attorney, joins Rich Terapak who has served as chairman of this group since 1997. "Appointing Bob at this time not only bolsters the leadership of our existing health care practice, but also underscores Porter Wright's expanded services and client base in this important area," said Robert (Buzz) Trafford, Porter Wright's Managing Partner. Bob advises health care entities in business transactions; contractual issues; regulatory matters; fraud and abuse issues and defense; compliance matters; public and private payor billing issues and audit disputes; medical staff issues; provider clinical integration plans; pay-for-quality contracting; antitrust issues; and pharmaceutical matters. Recognized by his peers as one of the leading practitioners in central Ohio, Bob has been described as a “go to” lawyer for clients’ most difficult problems. 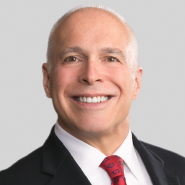 In addition to such recognition, he has authored and co-authored numerous books and book chapters on health law topics and is active in the American Bar Association's Health Care Section and the American Health Lawyers Association. Bob earned his law degree from the University of California, Hastings College of Law, and an MBA from the University of Virginia. Porter Wright's Health Care Practice concentrates on the most pressing legal issues affecting the health care industry, enabling health care providers and related businesses to stay focused and make timely decisions.